I am in the process of completing an exciting new sculptural commission for St. Felix’s Church, Haverhill, Suffolk. 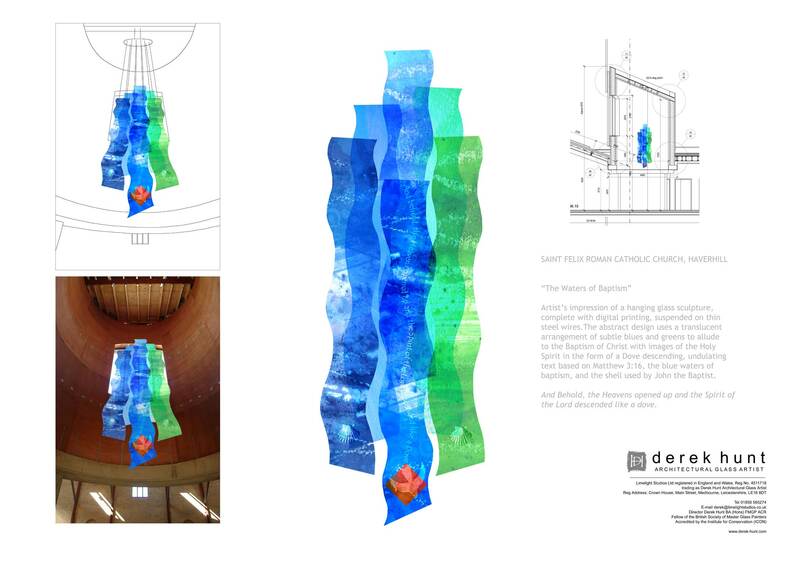 As you can see from the artwork, it takes the form of a hanging sculpture in six pieces. The colour scheme is rich blues and greens, with a dash of red, and includes images and symbolism associated with Baptism. It will be suspended on stainless steel wires above the font, and is due to be completed in time for the grand opening of this wonderful new church in May . « The West End Project wins Architectural Award!